How and when did you come up with the basic idea for the story? 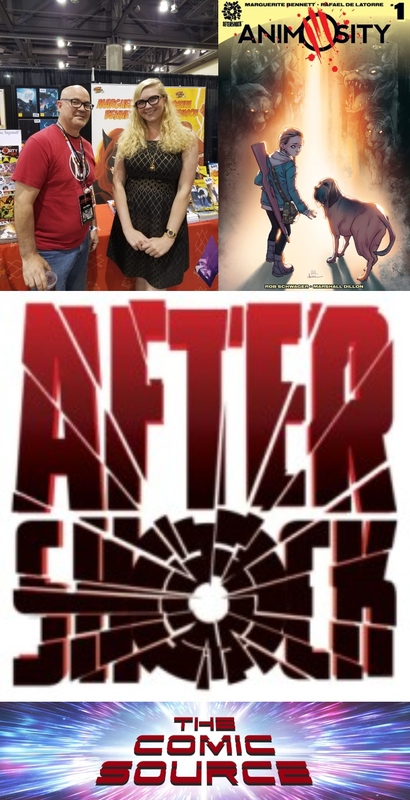 Did that initial idea evolve at all before the story made its way to print with AfterShock? The idea of animals gaining sentience is such a huge concept, what made you choose to explore this world through the story of a girl and her dog? Did you purposely set out to tell a story that could resonate with so many people who may have never read comics before? Tell us a little about how you see Jessie, both as a character and a tool to explore the themes of the book? How much of yourself do you see in Jessie? There are so many things to explore in this world, what for you as the writer is the most fun to examine? Will we ever find out how this happened, can things be out back like they were or should they be? When you read stories that have some sort of underlying question, do you enjoy finding the answers or the journey to find those answers more?